You've seen the new Audi Headlights, and you've probably also seen the guys who have tried to copy that look by trying to bend (and usually not doing a very good job of it) an LED strip into place under their headlights. 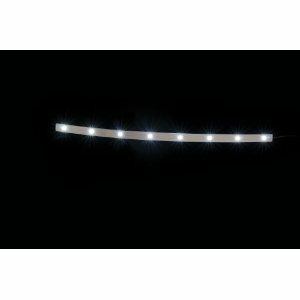 Do the job right with the Putco LED Day Liner Kit! 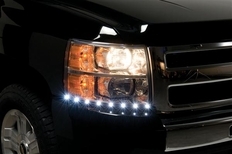 Each pair of LED Day liners are made of high-power LED's that are embedded into a CNC chromed aluminum piece for an attractive accent during the daytime. This means a perfect fit that will stay in place, look great, and last. 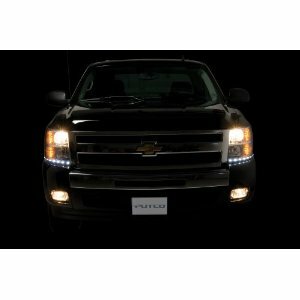 Putco LED Day Liners are Sold as a pair and include 5 ft of wire for easy wiring into the vehicle's daytime running lamp or low beam lamp assembly. The part number for this item is 270100 and it fits 2007-2013 Chevy Silverado 1500 2500 Trucks. All prices are for a pair (2).